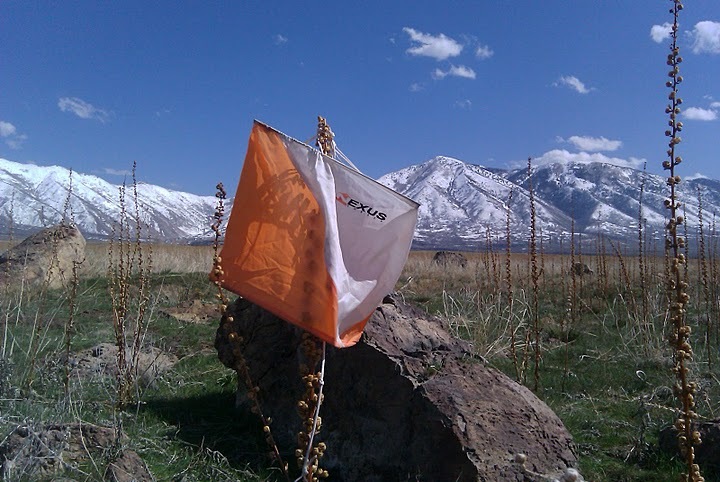 A couple Saturdays ago I put my orienteering skills to the test on a professional course. Orienteering can be a frustrating sport. Your course is outlined for you, your terrain described in detail. Control points are clearly marked. Everything’s right there, but if the sun’s shining just so and your tired, and you’ve misread your compass by a few degrees, you might as well be lost in a foreign land. Don’t get me wrong– it’s a fun sport– but as you’ll read in tonight’s Transcript Bulletin (and here on Monday), locating fluorescent orange and white striped flags on a desert hillside proved more challenging than I expected. I had some truly disoriented moments out on that course, but I discovered (or re-discovered) last week that nothing is more disorienting than moving to a new home. It’s been nearly a week since our family relocated to another corner of Stansbury Park, and while I’m confident that everything from the old house made it into the new one, we still have no earthly clue where anything is. Like the box (or bag, or bin) containing my work clothes. Or the basket (or bag) containing any of my shoes. I have a sneaking suspicion that the box we packed all of our dishes and silverware in (the one labeled ‘KITCHEN’ in black permanent marker) is somewhere in the garage. Ah, but that box of old cassette tapes I haven’t opened since 1995? Living room, baby. Front and center. Right next to the pile of blue jeans from my pre-love handle days and my childhood Voltron toys. I have a theory as to why this happens every time we move. You see, the weeks leading up to the move are spent carefully packing non-essential items. The stuff you need every day stays put until moving day. Then it’s crunch time. Things are packed haphazardly, thrown into random boxes, and hauled away and stowed under that “let’s-just-get-outta-here-already” mentality. And that’s when the little world you’ve carefully crafted for the last decade turns upside down and inside out, and the stack of old middle school yearbooks ends up on your kitchen counter, while your pots and pans are nowhere to be found. Things should improve as this massive Rubik’s cube comes together. Until then, I’m laying low, hoping the boss doesn’t notice I’m wearing Christmas slippers, and rocking to Peter Cetera. Friday Funnies: Satanic rooster, anyone? If you want to buy or sell something in Utah, there’s only one place to go– KSL Classifieds. My brother T sent me this one last month. My favorite line: “criticizes you as you work, etc.” Looks like the ad expired on Wednesday. I wonder if this guy got any takers. If only I was in the position to pony up $500 for a bag! 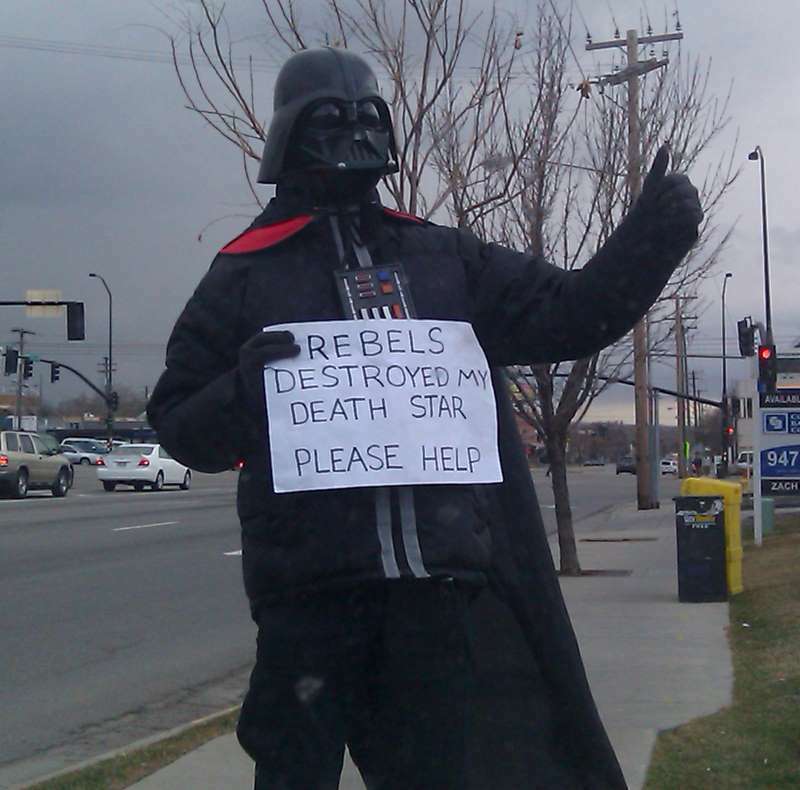 Rebels destroyed my Death Star – Please Help! Look who dropped by the local grocery store parking lot today! I was on my lunch break when I spotted ol’ Vader panhandling on the corner. He graciously posed for this picture.